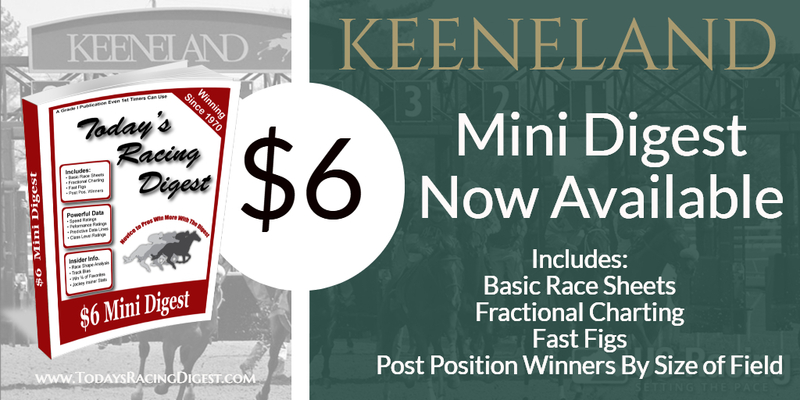 • The best thing that could be said about Santa Anita Park this past week, despite an outstanding weekend of racing, was that they didn’t have any breakdowns. The “vultures” were out in force (animal activist groups) with their smart phones and cameras just waiting for a horse to break down, but it didn’t happen. 30,713 came out in force on Saturday to have a good time and watch the best racing of this calendar year with the current stars of the game. And millions more watched from home or their favorite satellite venue as marquee players such as Bellafina, Vasilika, Roadster and Game Winner, and Gift Box and McKinzie went at it in some stirring stretch duels. With the background of the rugged San Gabriel mountains on a fairly clear day, this was the place to be. As trainer Bob Baffert said, as he was winning his 9th Santa Anita Derby (a record), it was comforting to see all the fans come out and show their support. They know at the end of the day we love our horses. We go to bed worrying about them and we wake up worrying about them. This was Santa Anita Park, the Great Race Place. • For the most part both the main track and the turf course played fair for the four days of racing this past week. 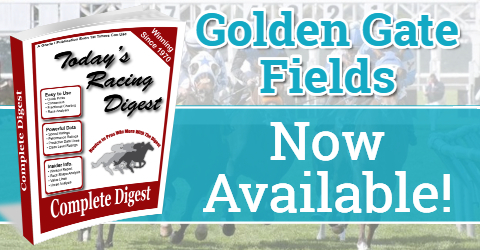 However, on Sunday, the main track did favor early speed and for the first time in quite some time, the turf course favored early speed as 3 of the 4 route races on the grass were won from being on the pace. They have not used the hillside sprints since Armed Runner went down on the dirt crossover the previous week. They decided to make the 20 cent pick six a mandatory payout on Saturday and the pool had a carryover of $815,939. Management was pleasantly surprised that $4.5 million of new money was added to the pool, much more than they expected, and the payout was $53,312 to 80 lucky winners who got the combination right. There was only one post time favorite winning in the six race sequence. Racing resumes this Friday and they will only have three days this week. As an experiment, all of the riders will ride Friday’s 8 race card without any whips whatsoever. The majority of the riders do not like it, but are willing to give it a try. Remember, public perception has a lot to do with the issues at this track. In fact, the California Horse Racing Board is meeting this Friday to discuss whether the rest of the Santa Anita Meet should be re-located to another track within the state for the balance of the meet which ends on June 23. Even though that is unlikely to happen, just the fact that they are talking about it raises reason to be concerned. Senator Dianne Feinstein is the one making the recommendation and before you start disliking her, you have to remember, she is just reacting to public pressure, primarily the PETA people. Tim Ritvo, who manages Santa Anita Park on the behalf of the Stronach Group, has publicly stated that Santa Anita intends to run the remainder of the meet right here at the Arcadia oval. • They had 11 races on Saturday and 7 of them were stakes races. We are not going to cover all of them, but three did stand out with some exciting stretch runs by some very good horses. The Santa Anita Derby only had six go to the post but three of them were considered top candidates for the Kentucky Derby, just four weeks away. On a track that was playing very slow, on purpose to make it as safe as possible, Instagrand set some very quick fractions of 23.34 and 47.84 for 9 furlongs. He was pushed by Nolo Contesto most of the way and Rosario kept Game Winner within striking position four wide on the outside. The winner, which turned out to be Roadster, was kept well off the pace by “Big Money Mike Smith”. Rosario was forced to move Game Winner quicker than he wanted on the far turn, and into the lane he looked like the winner. But he tired a bit late and Roadster came and got him in the final sixteenth. Instagrand faded in the stretch and doesn’t look like a 9 furlong horse with this company, much less 10 furlongs, the Derby distance. Roadster did win this race by ¾ of a length but I’m not sure he is any better than Game Winner. I still think the latter is the horse to beat at Churchill the first Saturday in May. However, off this performance, Roadster became the 6/1 favorite in the final futures pool for the Run for the Roses. Baffert is loaded with two strong contenders and if Improbable runs first or second at Oaklawn this coming Saturday, he will have three strong contenders. 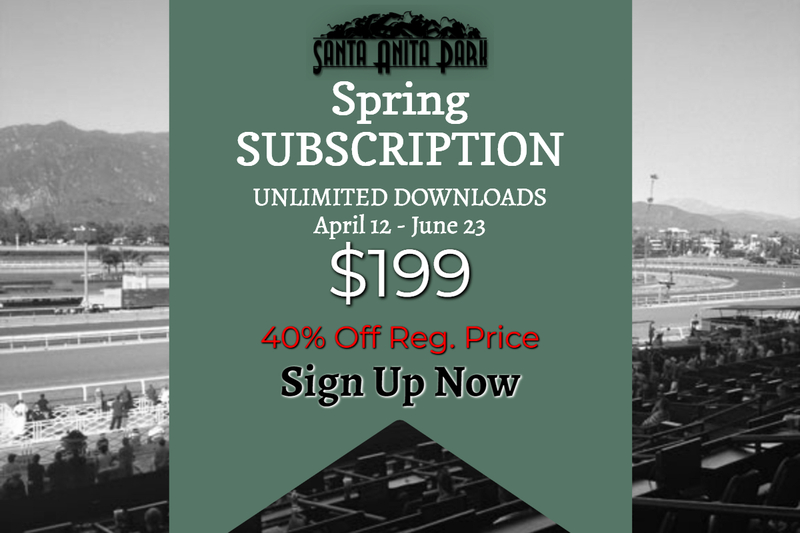 In the other big race, the Santa Anita Handicap, which was postponed four weeks due to the track closure, it was a two horse race down the stretch in a stirring stretch duel. Gift Box, the second choice in the wagering, won by the slimmest of noses under Rosario, while beating the 4-5 favorite McKinzie right on the wire under Mike Smith. Both horses were close up early as Prime Attraction set the pace, folded his tent at the ¼ pole, and the two choices hooked up in a stirring stretch duel the entire length of the stretch. It came down to head bob at the wire. John Sadler, who saddled the winner, was the first trainer since 1940 to win back to back Big Caps, as he won with Accelerate last year. In 1939-40, Silent Tom Smith performed the feat with Kayak II and the great Seabiscuit. Now we all know the Big Cap isn’t what it used to be. The top handicap horses in the nation now chase the big money in the winter that is offered at Dubai and the Pegasus World Cup in Florida. And the purse for the Big Cap has been cut from a $1 million down to $600K. Still, it takes a pretty good horse to win this race at 10 furlongs on the main track. And the race is just loaded with history. Horses like Ack Ack, Round Table, Spectacular Bid, Affirmed, and Seabiscuit have all won this race and my all time favorite, back in 1970, a Cal bred named Quicken Tree got the money with his patented stretch run. The other Grade 1 on the card Saturday was the Santa Anita Oaks for three year old fillies. The 1 to 5 favorite got the money, Bellafina, for the Simon Callaghan/Flavien Prat connections with a convincing five length win. Only five went to the post, but she did beat two promising Baffert runners in the process, Flor de La Mar and Chasing Yesterdays, who had just won the Sunland Oaks. Bellafina’s next stop is the Kentucky Oaks, one day before the Derby, and she will undoubtedly be the post time favorite. • Both Drayden Van Dyke and Geovanni Franco got the hat trick on Sunday at Santa Anita and moved up in the jockey standings. Joel Rosario still leads the riders with 56 wins, but he is off to ride at Keeneland now for the rest of their meet. He is four up on Flavien Prat with 52 victories and unheralded Franco is a distant third with 30 wins. Mike Smith continues to have the best win percentage of any rider in the top 20 at 32%. Doug O’Neill is four in front of John Sadler in the trainer standings 29 to 25, and Richie Baltas is close up with 24 wins. At Turfdom, our current up to date jockey/trainer patterns are now available at our web site at myturfdom.net or you can call us at 916-824-2509. All jockeys and trainers are listed on a scale of 1 to 10, with their positive ROI’S, and how they can help all of us make money at the track. 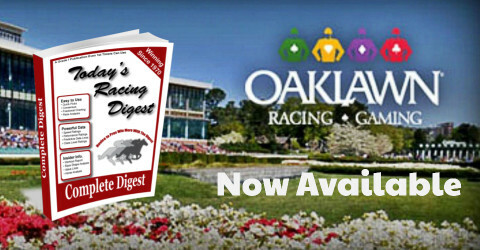 • There have been a lot of good prep races leading up to the Kentucky Derby, but none get any better than the Arkansas Derby coming up this Saturday at Oaklawn Park. From Southern California, Galilean, Improbable, and Omaha Beach all jump on the same plane to face Rebel winner Long Range Toddy and a few others in the Grade 1 race that offers 100 points to the winner toward the Derby in Kentucky. My personal choice is Improbable, but he is going to have step up and run his race if he wants to be headed to Louisville. He needs to be first or second just to qualify for the race. He has a world of talent but he hasn’t really put it all together just yet. Oaklawn has a blockbuster card set up for Saturday with the Count Fleet at six furlongs for older horses and the Apple Blossom, a Grade 1 for older fillies/mares on the main track at a mile and a sixteenth.